There are perhaps four proven approaches on how to successfully inject persuasive music into a Super Bowl ad. First, creating/procuring a musical underscore that informs the story, conjures the emotion and structures the narrative (a k a the "trad" approach). It’s an endeavor of craft, in which the music at times can be as ignorable as it is interesting. Most of the 80-plus ads pursued this "trad" approach, reflected in standard cinematic styles that scored either uplifting or action-oriented stories. Examples were Snickers, SOfi, BudLight, Coke Mini, Jeep "Portraits," LG, DeathWish Coffee and Kia Optima. A second technique is to license (a k a "sync") a master recording, or maybe just the publishing; re-record; it and unabashedly borrow the associative cultural cachet of the tune. Many times these tracks tap into an emotionally sweet intersubjectivity, striking a collective emotional chord in social media. Think Budweiser’s "Puppy Love" in SB 48, which used The Passenger song "Let Her Go," or Jeep’s redo of "This Land is Your Land" in SB 49. The Honda Ridgeline redo of Queen’s "Somebody to Love" as sung by sheep was an entertaining sync, as were GOPro’s use of the Ramones classic punk rock anthem "Blitzkrieg Bop," Audi’s timely use of Bowie’s "Starman," Bud’s use of the aggressive "Day Ones" and Heinz’s humorous use of Nilson’s melodramatic 70’s falsetto hit "Without You." A third way is to employ a musical artist and/or actor of some renown or notoriety (a k a "huckster" approach) and inflict and/or insert their aura into the concept, hopefully creating some buzz or some sort of comedic hubbub. One obvious "huckster" standout was Apartment.com’s redo of the classic theme from "The Jeffersons" TV show, "Movin’ on Up," as sung by Jeff Goldblum (who seemed to be omnipresent during the commercial breaks) and a choir. An appearance by Lil Wayne as Weezy (the name of George Jefferson’s wife in the show) added some ironic and clever/creative flavor to a brand that will reap some benefits. 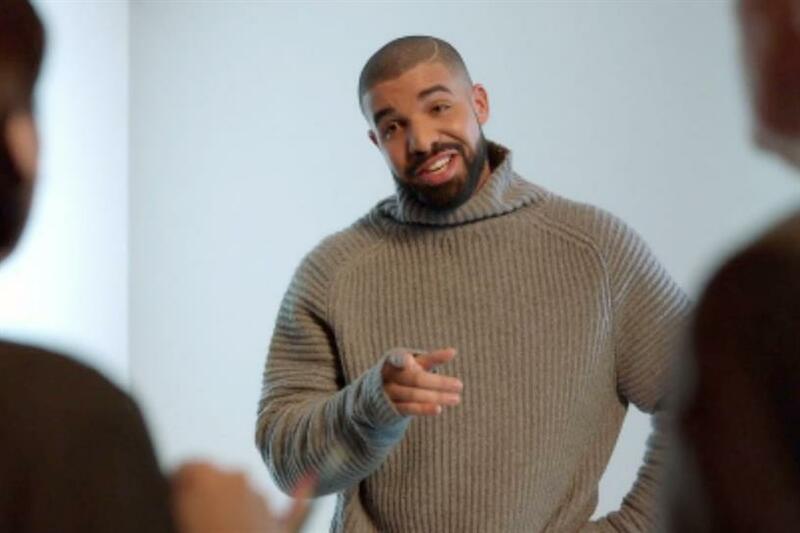 The T-Mobile Drake spot uses some of his huge hit "Hotline Bling," which aligns nicely with the spot, although Drake’s interactions with the mobile company marketing execs in the ad outshines the song’s use. A final fourth way is to defy the previous three and get something in there that transports the brand to another dimension, employing a truly non-expected or yet-to-be known musical use or twist (a k a the "rad" approach). This is an opp to create major buzz and/or break a song. Think Chevy’s use of Fun’s "We are Young" in SB 46 or Taco Bell’s Spanish language use called Viva Young in SB 47. A second Jeep spot, "4x4ever," was accompanied by a custom-made tune entitled "4x4" by the Sony artist Morgan Dorr. This follows in the footsteps of a popular Jeep custom execution from 2015 by X-Ambassadors, who’s track "Renegade" became a hit song in media. Mountain Dew's insane "puppymonkeybaby" spot was well served by a super-silly track of the same name, arguably the most out-there execution of all. There were a few surprising/clever uses, especially to those of us who are music geeks. The Beastie Boys surprisingly allowed their track "No Sleep Till Brooklyn" to be used on the ad for the new "Teenage Mutant Ninja Turtles" film. My understanding is that they’d never license music for an ad. Fitbit used a Screamin' Jay Hawkins song; and Marmot, Flight of the Concords. Prius’ use of the Incredible Bongo Band track "Apache" is worth mentioning, a classic hip-hop tune, an oft-sampled "rare" groove. And strangely, PayPal used a Demi Lovato track … Hmmm. And don’t forget Missy Elliot’s new track "Pep Rally" being dropped, or shall I say, forced, in the Amazon spot, or Steven Tyler’s Skittles appearance and use of the great rock anthem "Dream On" in a distinctive and unique way. My advice to Super Bowl advertisers for 2017 is to emply the "rad" line of attack when possible. Bring your musical collaborators in during your concept ideation; we’re all game for something big in the Super Bowl, too. Josh Rabinowitz is executive vice president and director of music with Grey.